Look for our Current Issue all over Louisiana Now! 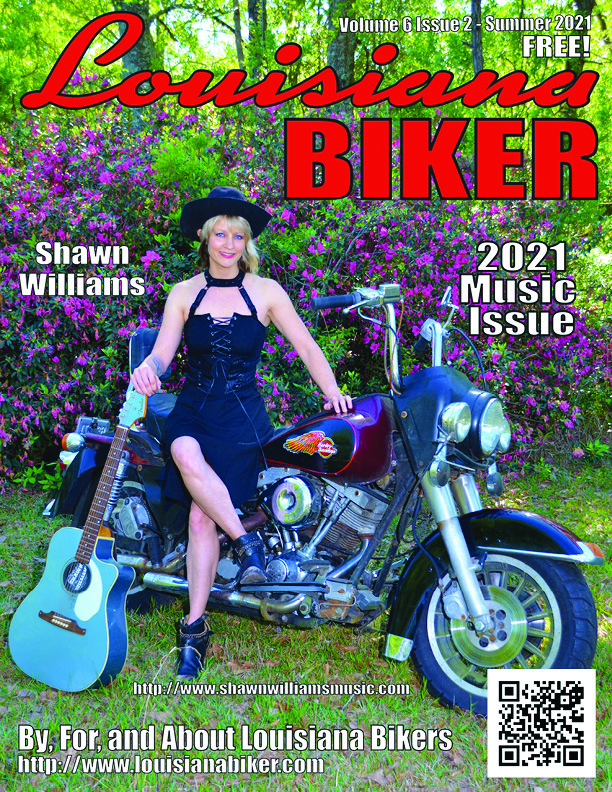 Louisiana Biker® Magazine was founded with the intent of being the best possible local Motorcycle Magazine, and to truly represent the needs and interests of the Louisiana Biker. We aren't breaking any new ground, we just want to have the type of magazine we used to read, done right. All of our content is original and local, nothing is ever brought in from out of state or sourced from the Internet. We are all about actually riding. All of our staff rides, and We will invite you all to ride along. We will promote any group or organization that is also working for the best interests of real motorcycle riders. By meeting the needs and interests of the reader, we will provide a strong platform for Advertizing and Promotion of Motorcycle Related Businesses, at reasonable rates. "By, For, and About Louisiana Bikers" is not just a slogan, that is our goal. Have an Issue Mailed to You!